The hike has to be on an established trail (signed or blazed) that is known to the hiking public. Well I just finished the States of Iowa, Nebraska, and Kansas this past weekend and have officially knocked out 47 States. The Dakotas are all that remain – and my hope is to finish them with a group of hiking buddies next summer. 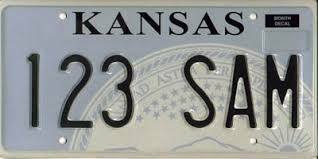 Until then, here’s a recap of States 46-48 – and I’ll start with Kansas. My traveling companion (who goes by the trail name “Therm Rider”) and I got a late start out of Kansas City, KS on Saturday morning after discovering the night life at Westport – a historic and vibrant area near downtown that has fantastic restaurants and bars. 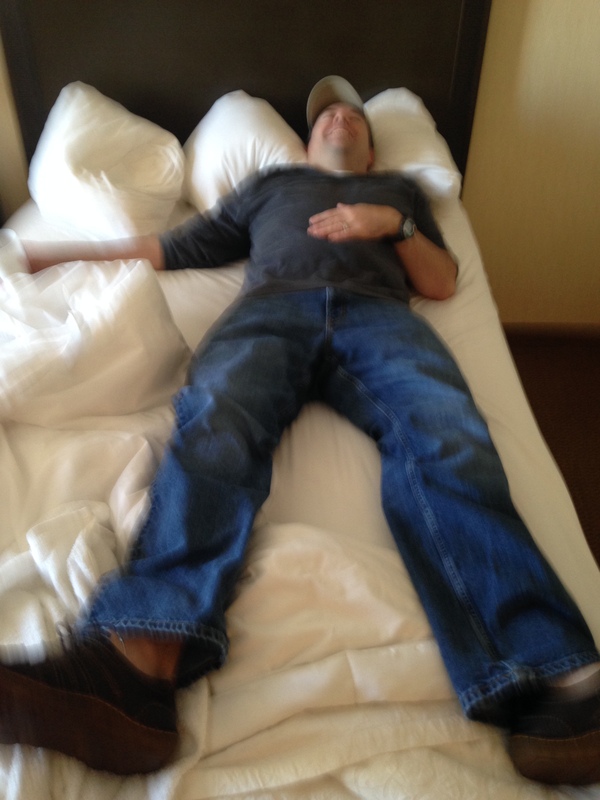 With a little coaxing, I rousted him from the all-you-can eat breakfast at Embassy Suites. 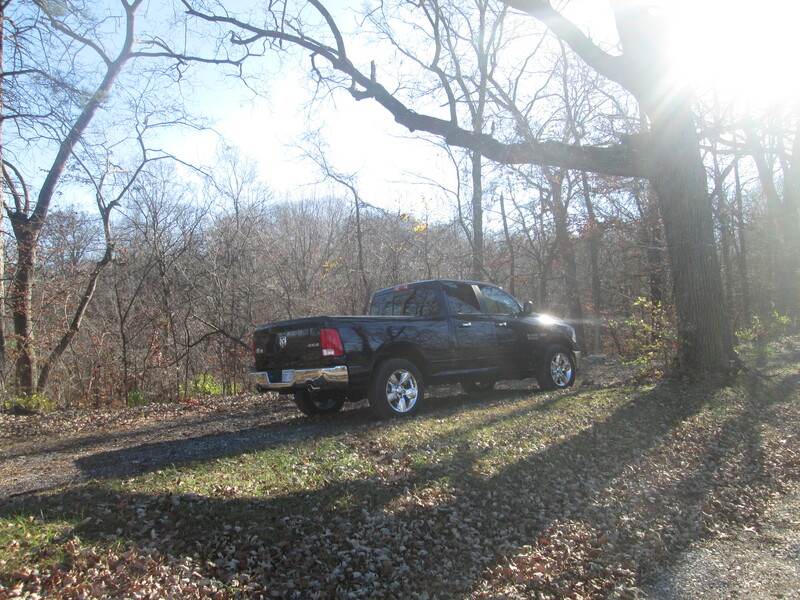 Then with full bellies, we hit the road for Wyandotte County Park which is located northwest of Kansas City. 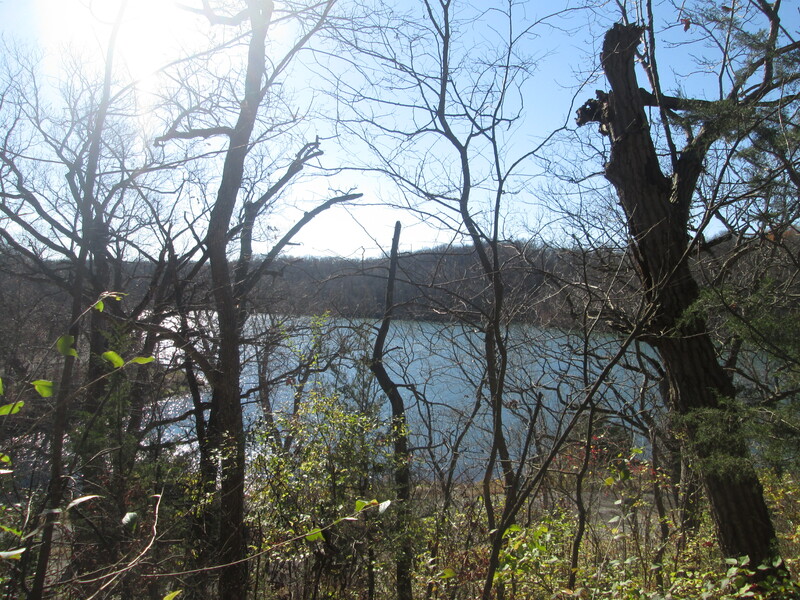 Here we found a bunch of trails that were situated around a nice lake. The winter views made for some scenic ridge hiking which was a plus. The temperatures hovered in the 30’s, but were welcome and woke us from the haze that lingered from the previous night. 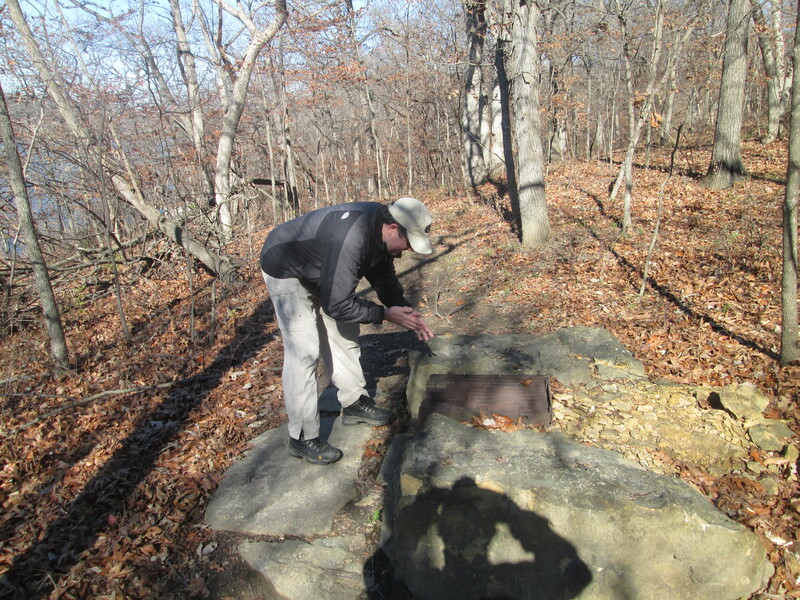 We stumbled on to a few stone grills that were literally in the middle of the wilderness – and were likely once part of a now relocated picnic area. 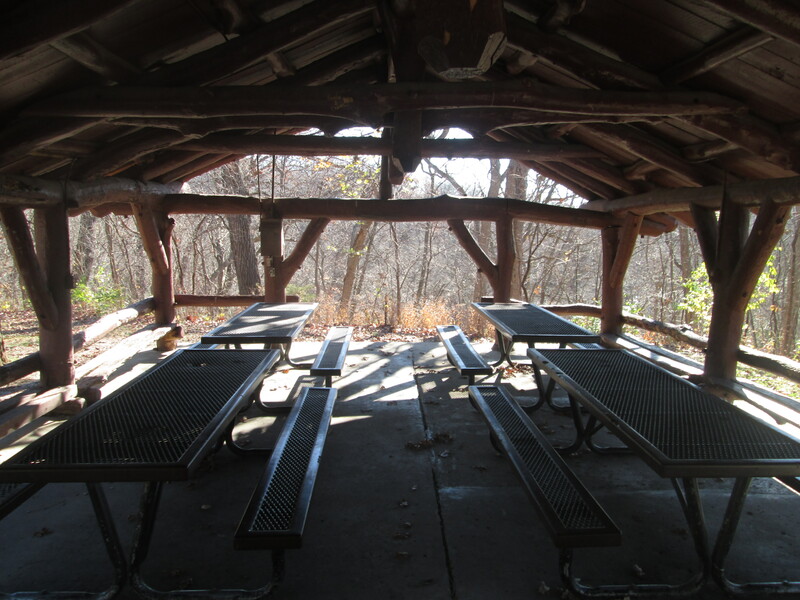 On occasions we saw rotting picnic tables only a few feet from the trail. But there were plenty of newly built and well maintained facilities in the park, and I expect they are heavily used in the warmer months. We returned to our rented truck after a 1.5 mile hike and fortunately didn’t need the 4×4 this weekend. A foot of snow pounded most of South Dakota and Iowa on Friday – but we managed to stay South of the winter storm. From here, we drove northwest in to Nebraska and over to Indian Cave State Park. It is situated above the Missouri River and was the biggest surprise of the trip. After checking out the views from an overlook on the ridge, we took Trail #3 down to the river. 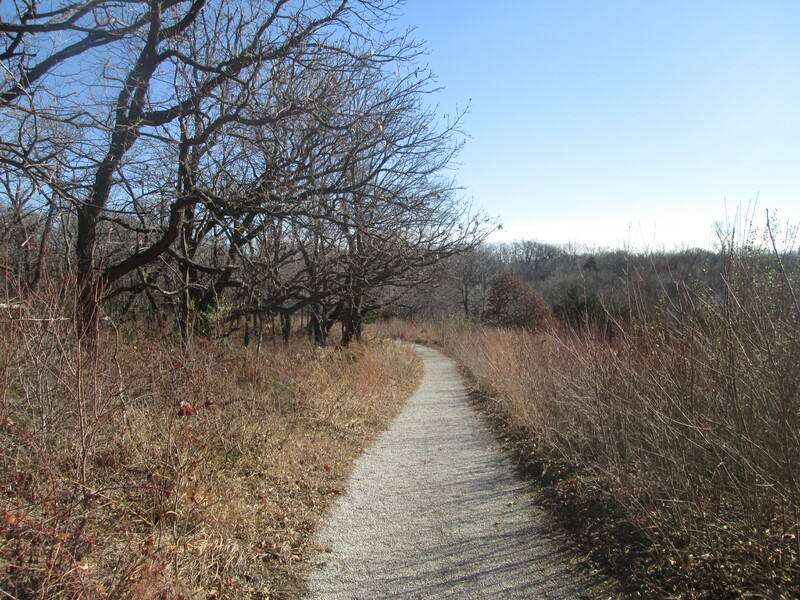 The trail dropped through a lightly wooded meadow with prairie grass that was lit up in the late afternoon sun. 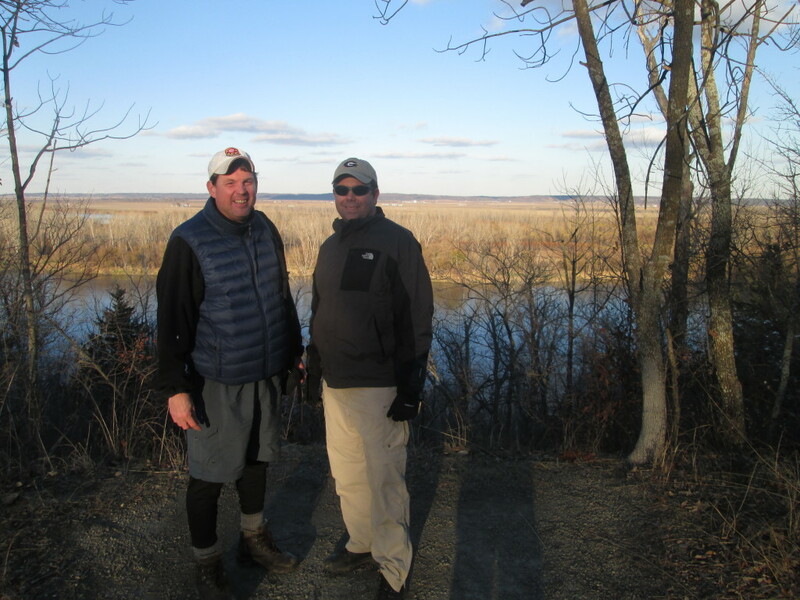 It was a pleasant descent which leveled off as the trail reached the Missouri River. I noticed a shelter on the ridge and talked Therm Rider in to the steep climb to check it out. It turns out that there were three shelters – two of which were occupied by backpackers tonight. 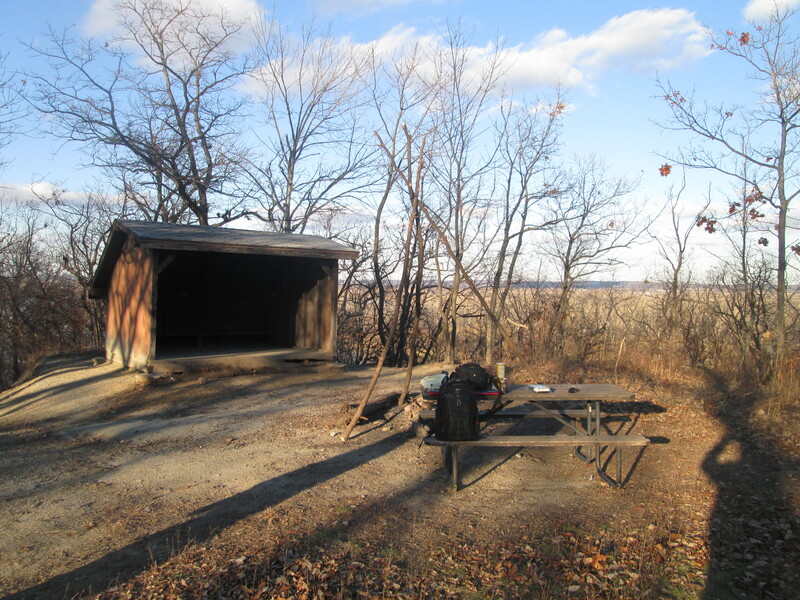 They looked a lot like the old pre-90’s Appalachian Trail shelters – some which you can still find on the A.T. today. Two of the guys camping here had a proto-type of a four pound camping toilet that they wanted us to check out. I think I’ll stick to my backpacker’s trowel until a lighter model hits the market, but it was an interesting concept to say the least. After the product review, we got them to snap our pic on the ridge overlooking the river. Then we made it back to the trailhead just as the sun was setting. Despite the fact that we have camped frequently in sub-32 weather – I didn’t feel guilty about heading for a hotel in Omaha tonight. Nebraska complete! On Sunday (the final day of our trip), we got up a little earlier. 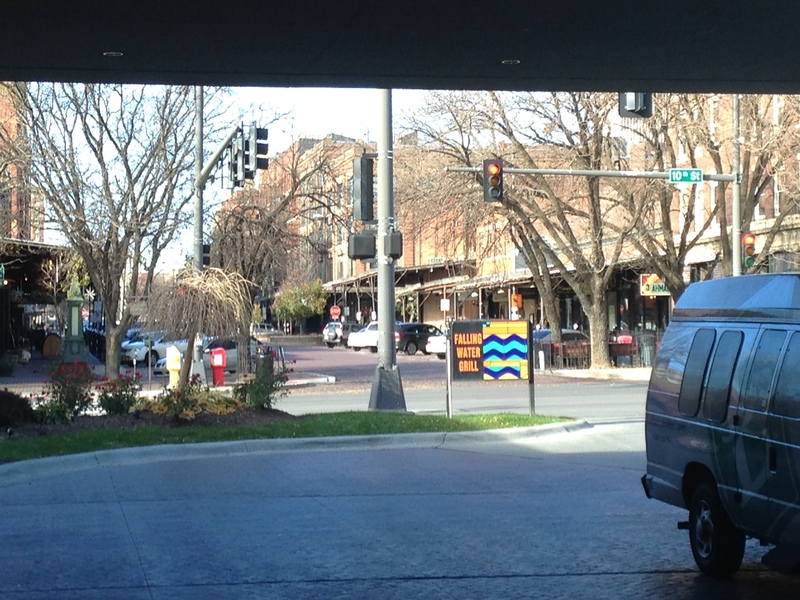 Yet we still managed to explore another great historic restaurant and bar district the previous night – this time the Old Market of downtown Omaha. We had another hearty breakfast at the local Embassy Suites, then drove southeast to Iowa. 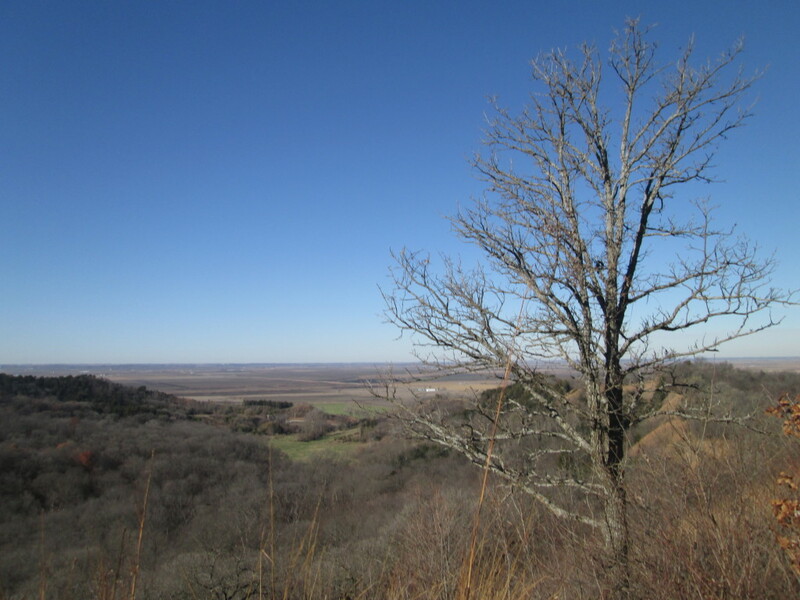 I picked out another ridge hike with views of the prairie at Waubonsie State Park. 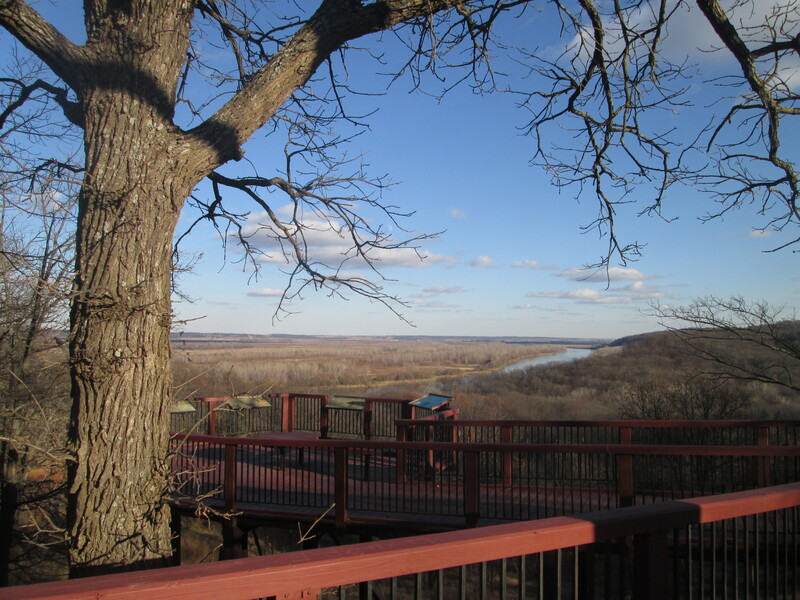 It has a beautiful view of the valley floor from the Sunset Overlook Trail and is just east of the Missouri River. The travels of Lewis & Clark are well documented in this area and the Parks on both sides of the Missouri tell of their numerous adventures as they traversed this land. I chose a more hospitable route, however, and followed the ridge line to explore the park to the west. Therm Rider, defeated by two nights in the city, stayed at the scenic overlook and rested up a bit. 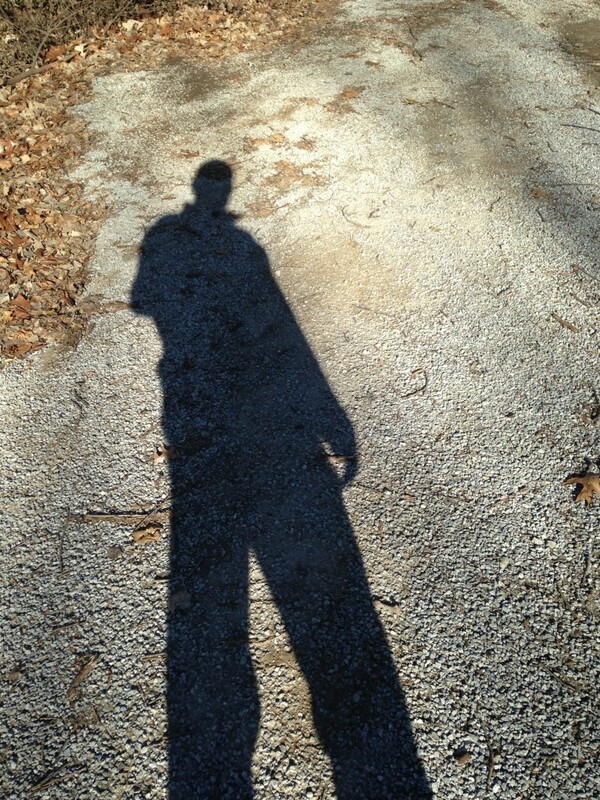 So I hiked solo and enjoyed the peaceful walk through a mix of hardwoods and grasslands. But our flight was scheduled for a 4:55pm CT departure and we had to hustle back to Kansas City for the trip home. I met up with Therm Rider at the trailhead, and then we headed for the airport. 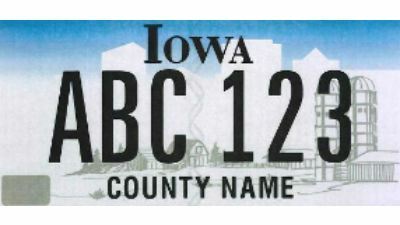 Iowa complete! The original plan was to squeeze in a hike in South Dakota this trip, but with the good times that Kansas City and Omaha had to offer – coupled with a foot of snow an hour north – we opted to visit the Dakotas another time. States 49-50 … see you soon! 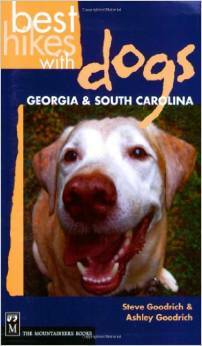 This entry was posted in backpacking articles, hiking articles, trail talk on November 25, 2015 by BirdShooter.